One of Melbourne’s premier wedding venues, Circa the Prince, was the destination for our French Provincial themed wedding for the most easy going and fun loving couple, Xavier & Katherine. The bride’s vision was to have a French theme running through the two styled areas – a formal dining area and an outside deck, with lots of flowers and lights. We decided on a formal French Provincial theme for the dining area and a rustic French winery for the outdoors. To tie in with both the black sash that the bride wore around the waist of her gown, and the bridesmaid’s black dress, our colour scheme for the day was black and white. My first challenge was to find some black and white striped centrepieces for the dining tables and after much fruitless sourcing, I decided to use my local men’s shed to have some hand crafted. These were then painted in glossy black and white stripes, resulting in a stunning display when coupled with our polished silver urn and candleholders on top of them. Now to find a matching wishing well! Luckily, our custom made service came to the fore again, with an antique suitcase being transformed into a unique wishing well to perfectly match the centrepieces. In styling the deck area, we used many of our bespoke imported French pieces, exclusive to Events With Distinction, plus some grapevines from the Groom’s family winery which added to the authenticity of the theme. We also provided all of the indoor and outdoor floral arrangements, showcasing our versatility in event styling. French Provincial done two ways and we loved every minute of it. Thank you Xavier & Katherine for trusting us to style your special day. Michele did the most amazing job decorating both our ceremony and reception venues. We had several meetings to discuss the look, feel, and theme of our big day and she was always available for last minute questions or additions. The best part was simply telling Michele “we’re after French Provincial, whatever that means…” and instantly we could see her mind ticking over options, and wow did she deliver! The venue was full to the brim with flowers, table decorations, and tiny touches that only the most eagle-eyed wedding guest would have noticed. One of the highlights was the customised vintage luggage Michele hand painted to match our colour scheme, which we used for our wishing well. We couldn’t recommend Michele enough, she is an absolute superstar. 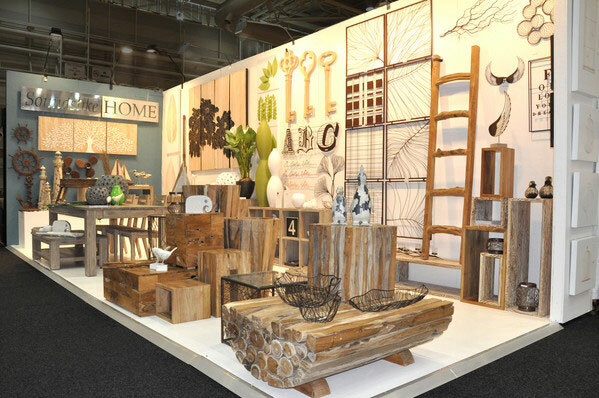 The Reed Gift Fairs in Melbourne and Sydney offers an opportunity for wholesalers to show case the latest trends in imported and locally made products. 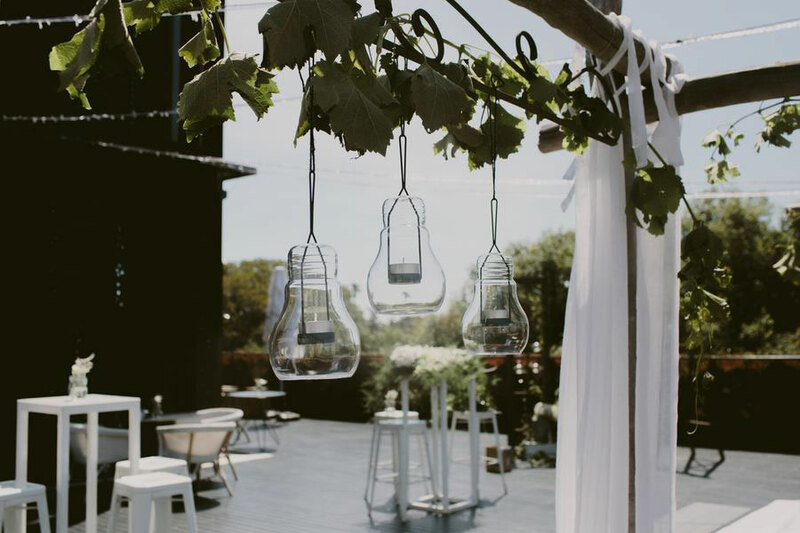 It is always a source of inspiration for our stylists to see what’snew in the marketplace and then use their creativity to adapt it to an event.One of the newest products that took our interest this year was seed lights. 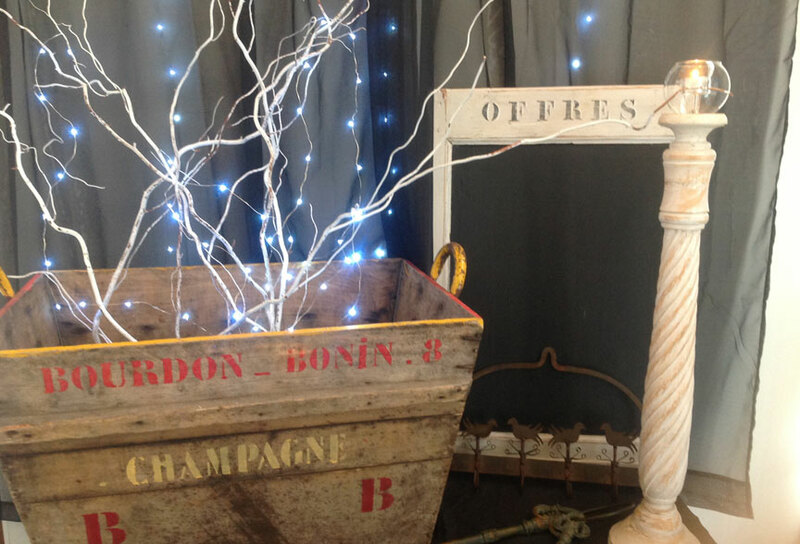 Small and more delicate than fairy lights, they add a touch of romance to our styling. Use them in hanging glass terrariums in place of tealights, and as they are battery operated they will stay alight until the end of the event. They can also be used in delicate floral arrangements, as they are very light and don’t weigh down flowers as fairy lights do.We now have 30 sets of these ready and waiting to light up your next event. Our imported French items have arrived at last. These bespoke items, available only through Events With Distinction are both distinctive and versatile.The champagne box would look beautiful filled with flowers for a romantic look or add some tortured willow sticks to get a rustic feel. The blackboards are perfect to display your wedding or event menu, or disguise the ‘offres’ written at the top with a flower garland or fabric draping, then use as a welcome sign or table name display. I love the little bird coat hook which I will be using in our French Provincial theme wedding (January 2016 ) as a display for flowers in glass terrariums with seed lights.